Send A Message To Phillip. Brief Profile: Phil, through PRHC est. 1984, provides confidential employee/er assistance, personal and professional development and conflict management from a solution focused and insight based perspective. Phil has extensive experience in EAP related services, assessing conflict situations and incorporating the appropriate evaluation tools, when needed or requested. Phil works collaboratively with clients to adapt, align, transition and create positive change in relationships. His relaxed style quickly puts clients ease. His wisdom comes from over 30 years of experience, assisting clients in working through the many diverse challenges that include, Interpersonal conflict; Dealing with changes and transitions; Career planning and development; Emotional intelligence and a host of other concerns that interfer with relationships to self and others. Phil created and has delivered the "StressCoach Solutions At Work" program (est. 1996) for interested teams and groups. Phil continues to coach individuals and organizations in solving and implementing realistic solutions to real workplace problems. He facilitates one-to-one or small group sessions and is certified in the Strength Deployment Inventory, Enneagram and the Myers-Brigg Type Indicator for those interested in personal, professional or relationship development. 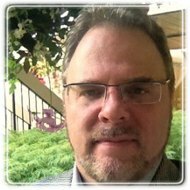 Phil is the Director of the Exemplar Institute and Adjunct Professor and Executive Director for the Kelowna College of Professional Counselling where he conducts training and provides leadership in the areas of solution focused coaching and spiritual care and integration. Qualifications/Certifications: Phil's competency based credential includes: Master Practitioner in Clinical Counselling (MPCC) * Registered Professional Counsellor (RPC), Certified Employee Assistance Professional (CEAP) and Board Certified Coach (BCC) Certified in the: 1) Strength Deployment Inventory; 2) Booth 360 Feedback, 3) Myers-Briggs Type Indicator (MBTI) , 4) Emotional Intelligence Indicator (BarOn-EQi) and trained in 5) Enneagram Personality Typology. Phil is an Authorized DrinkWise service provider and is the creator of the "SC Solutions at Work" program and is a certified solution focused consultant with CCPC-Global. Phil's Interdisciplinary degrees are in Applied Psychology & Counselling, EAP and Spiritual Health. Phil is aligned with a life long learning philosophy and has been an advocate for alternative and self directed learning to gain subject mastery and competence. Professional in "good standing" with: 1) Canadian Professional Counsellors Association (CPCA); 2) the Employee Assistance Professional Certification Commission (EACC); 3) the Canadian College of Professional Counsellors and Psychotherapists - Registrant (CCPCP-R); 4) Professional Member with the Canadian Counselling & Psychotherapy Association and; 5) Canadian Council of Professional Certification-Global. Past Board Positions: Phil was the Director of Professional Development and Supervision in 2010/11 for the CPCA as well on the Board of the Employee Assistance Society of North America, 96 and the President of the Employee Assistance Program of Manitoba, 1997. Phil was also a board member of the Canadian Guidance Counselling Foundation in 1994. For More Detailed Reference on services go to the PRHC website at: www.prhconline.net.